Mehmet Okonşar was born in Istanbul. He started playing piano at Ankara State Conservatory. He continued his study at the Royal Conservatory of Brussels and was trained in the fields of piano, composition and orchestration. He graduated with the Highest Distinction ("Premier Nommé") in 1981 and got a chance to study with the world famous pianist Alexis Weissenberg in Switzerland. At the age of 21, Okonşar got the first prize at the International Young Virtuosos Competition in Antwerp, and was also awarded in other prestigious International Competitions such as the Gina Bachauer, Sixth Prize, Salt Lake City (1991) and J.S. 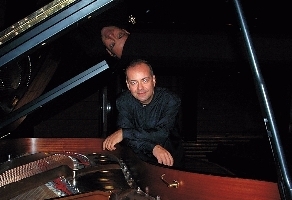 Bach, Second Prize, Paris (1989). He was also Gold Medallist of the "Premio Etruria", Rome (1991) and of the "Academie Internationale Des Arts Contemporains", Enghien (Belgium, 1991). He has been performing at noteworthy European and American concert halls including Salle Gaveau (Paris), Concertgebouw (Amsterdam), Bösendorfer Saal (Vienna), Jack Singer Concert Hall (Calgary), and Symphony Hall (Salt Lake City). He also visited to perform in New York, Tokyo, San Francisco, Brussels, Antwerp, Rotterdam, Paris, Nimes, Genéve, Engelberg, Rome, Seregno, Enna, Athens, Ankara, Istanbul and Antalya. 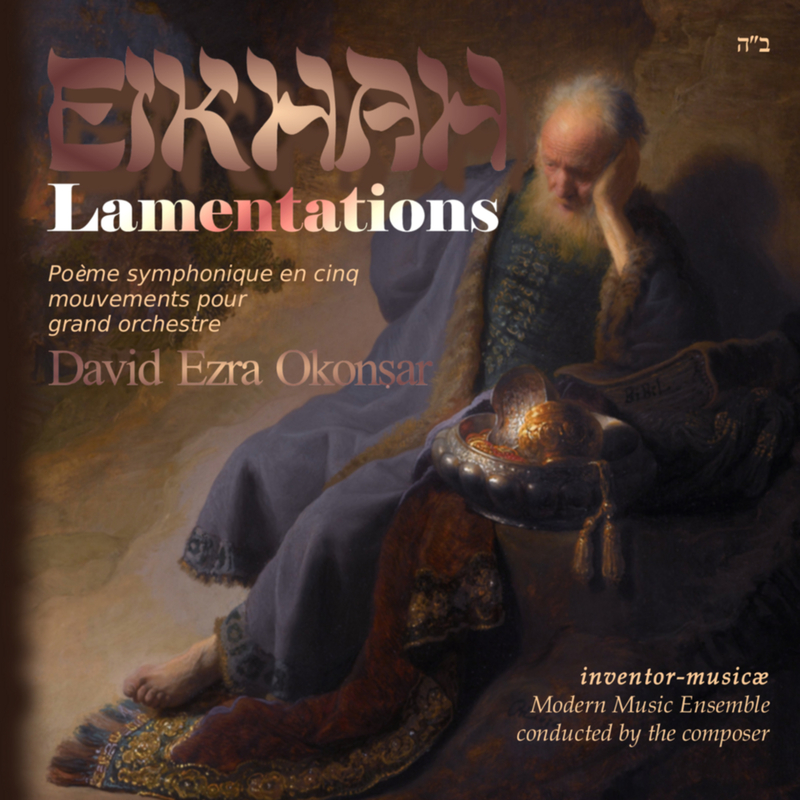 Okonşar has performed under conductors such as Joseph Silverstein, Charles Dutoit, Sylvain Cambrelin, Christof Escher, Alexander Schwink, Lucas Pfaff, Gürer Aykal. He played with the Utah Symphony, Poznan and Lublin Symphony Orchestras, Brussels Opera (La Monnaie), Antwerp Philharmonic, Presidential Symphony (Ankara), Istanbul State Symphony and Izmir State Symphony. 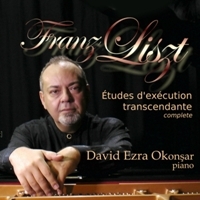 Okonşar has been one of the judges at the National Piano Competition of Japan since 1999. He recently performed acclaimed concert tours in Poland with the Symphony Orchestras of Poznan and Lublin. His recent recordings includes a series of works by J.S. 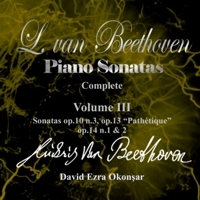 Bach (Die Kunst Der Fugue (BWV 1080), Das Wohltemperierte Klavier, Die Goldberg Variationen (BWV 988), and Das Musicalisches Opfer (BWV 1079)), performed on piano, Organ and Harpsichord as well as on electronic keyboards. National Broadcasts of Belgium (RTBF) and Turkey (TRT) have transmitted several of his solo and orchestral performances. He was also extensively featured on the television channels of the above National Networks. Okonşar′s research on the computer related music technologies lead him to give a presentation on "Technology and The Artist" for the Yamaha Corp. of Japan and to present a TV series "Music Technologies" for the Turkish National Television (TRT). 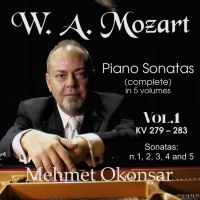 Okonşar was recognized as one of Turkey′s premier young concert pianists. He has been nominated as a lifetime State-Artist by the Turkish Republic for his artistic accomplishments. He was included in the International Biographical Reference book: 2000 Outstanding Musicians of the 20th Century, published by the International Biographical Centre, Cambridge UK (Melrose Publications). He was also nominated as one of the Ten Outstanding Young Person (TOYP) of the year by the Junior Chamber International (JAYCEES) in the field of cultural/artistic achievements.